As Art Therapists, you understand the impact of visual information, hence the popularity of Pinterest. If you haven’t indulged in Pinterest yet, think of Pinterest as a virtual corkboard where you can pin all of your favourite photos, images, recipes, notes. You can use Pinterest for personal, professional and business reasons. You can create boards to share with clients for psychoeducation purposes. You can also create Secret Boards on Pinterest that you can share with only one client. You can also use a secret board to prepare your images before publishing them to a wider audience. 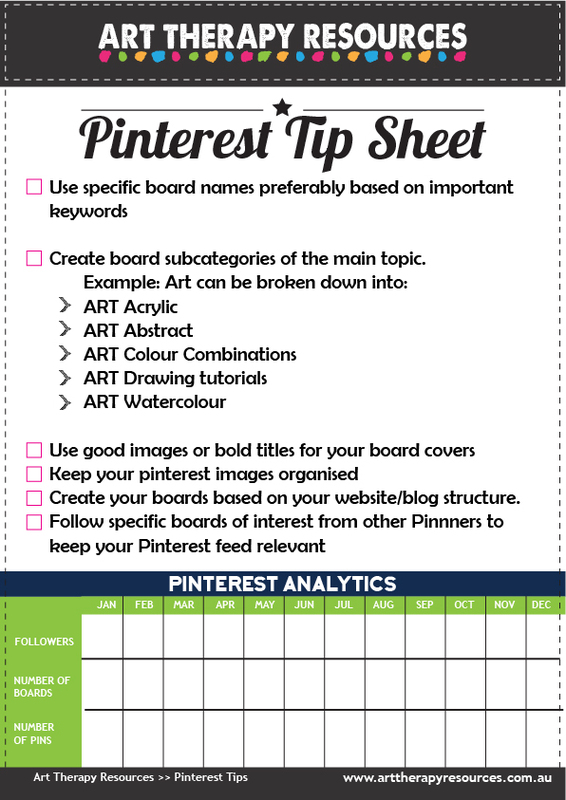 Pinterest can be used for a number of reasons including providing you with instructions, inspiring you and as a way to store great ideas. 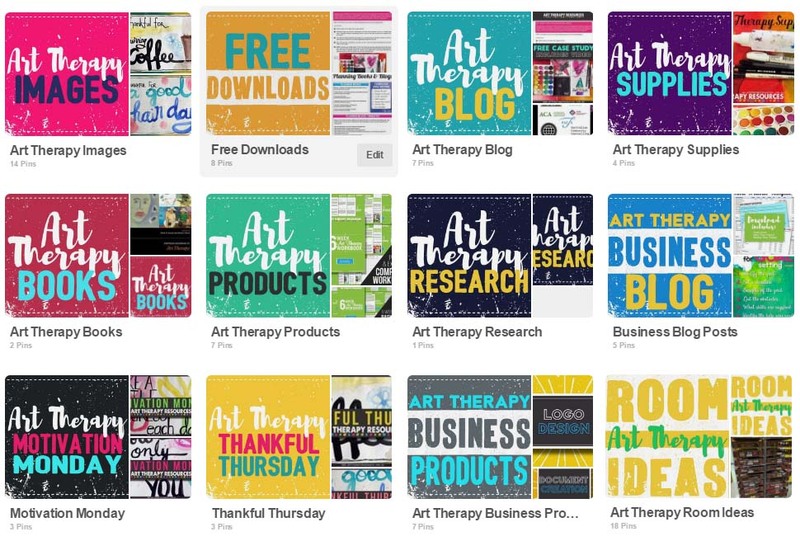 In this post we’ve included a link to 10 Art Therapy Pinterest Boards. Pinterest Boards are where your pins are saved to (like a corkboard) and they are pinned by people who have an account on Pinterest. You may want to check out the board creator of the boards below for other useful boards as well. You may want to check out the board creator of the boards below for other useful boards as well. Be specific with your board names and be mindful of important keywords that relate to the services you offer in your therapy practice. Make subcategories instead of using general terms. It is better to have a targeted approach with 10 different boards containing 30 pins per board instead of 1 general board with 1000 pins. Try to keep pin numbers to 100-150 pins max. As an example, instead of having one ART board, break the category down to acrylics, watercolours, drawing, tutorials, colours etc.Below is an example of the way you can set up your categories using the word ART as a broad category. Using the word ART helps to define the general theme of your boards.